My Liner Luxe client mentioned the interiors of the Jo Malone’s fragrance stores as ones she liked, and their aethestic certainly fits in with the direction we are going. The boxes for their candles and perfumes are just divine, and evoke that simple but stylish 1920’s feel. And just look at the taps in this image! 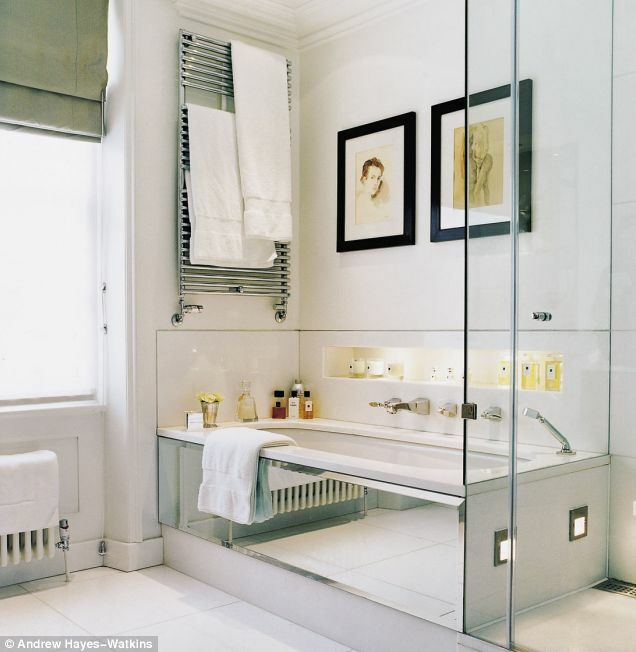 We’ve already specified this type of Art Deco tap, but I do like this wall-mounted look, hmmmm a bit of investigation on-line is coming up, me feels…..
Love the glass bath panel, and how many towels must this girl have to need so much rail space?! Liner Luxe bathroom looking bigger already!